I keep wanting to like Justice League. None of the issues so far have been badly written. The art is solid and dependable. There are a number of good scenes, some nice characterization. But with the Rebirth issue, and issue 1, I was left feeling let down. Still, I kept hoping that the story would pick up. Well, it’s issue 2 now. And I’m still feeling that way. 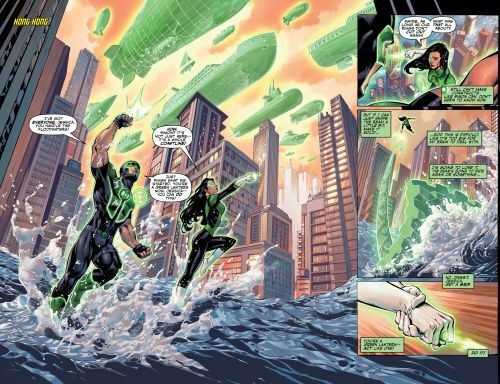 And I’m losing faith in Bryan Hitch. 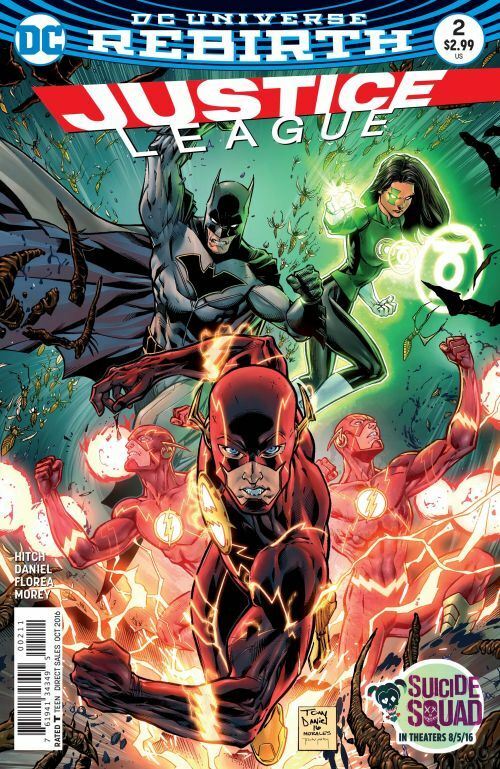 Picking up from the previous issue, the members of the League are scattered around the world, dealing with seemingly natural disasters, and discovering that a mind controlling entity, the Kindred, are really responsible for what is going on. Too many pages at the top of the issue are spent on stuff that we had already seen in issue 1. The League members do finally get together about halfway through, gathering on the satellite where Cyborg explains to the group why multiple earthquakes at the same time are suspicious. Then some big alien bugs attack, the Purge, and we get to see that the Kindred are on Earth s a counter-measure. There is another seemingly disconnected thread that will obviously tie in, with zodiac crystals in Atlantis. But here is part of the problem. It’s obvious it will tie in. There are no great surprises, no twists that don’t feel tired before they are explained. Superman is kept off to the side again, up until the conclusion of the issue. And I guess this is a spoiler, but at the finale we are meant to be excited and/or scared that Batman is asking Superman to penetrate to Earth’s core. Does that thrill you? It sure doesn’t thrill me. It takes a while to completely crush my expectations, but already I am hoping that the second story arc for the new Justice League series will be better than this first one. I’m not sure how many issues this first arc will run. The fewer the better.